In a city where visual chaos is triumphant and context is not something universally admired, or adhered to, one of the most remarkable architectural achievements/oddities is that the Empire State Building's solitary isolation has not been impinged upon, ever. A few towers have gone up several blocks away but nothing very close and nothing very tall. This project, announced in 2004, however, encroaches somewhat on that isolation. 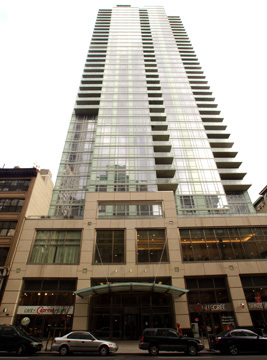 A mid-block development half a block away and across Fifth Avenue on the former site of five-story commercial buildings, it is a 42-story tower with about 250 condominium apartments, although it was marketed as a 50-story tower, probably reflecting that some floors have higher ceilings than others. The 390,000-square-foot development was estimated to cost about $190 million and was a joint venture between Continental Properties, owned by the Fisch family and Jeffrey Levine's Douglaston Development. 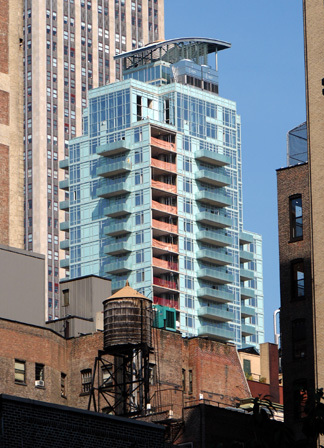 It was completed in 2006 and is distinguished by its curved and open roof structure over its watertank, light blue-green glass facade, and its many balconies. The lobby is attended around the clock by a doorman and concierge and the building has a garage, an entrance marquee, fitness center, a business center, a children's center, indoor pool and spa. 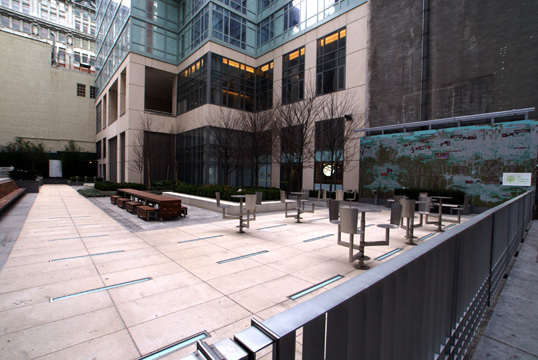 The building has a large plaza at its rear. Stephen B. Jacobs was the architect. 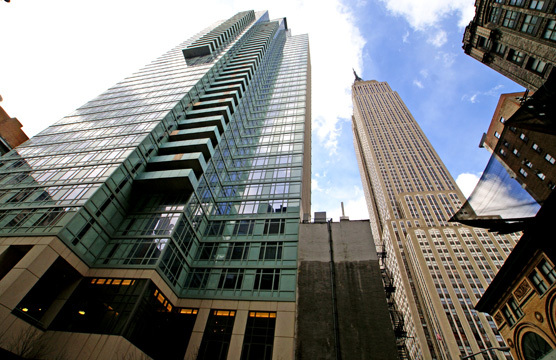 This site is convenient to Midtown South and the Murray Hill, Flatiron, Gramercy Park and Chelsea neighborhoods and is a few blocks south of another new condo tower at 425 Fifth Avenue and close to several other new condo projects planned at 400 Fifth Avenue and 309 Fifth Avenue.